Find answers to your questions about the products on our site. We also have a collection of tutorials. Please open and check your files immediately upon receipt of your download links. Support will be provided within 30 days of purchase if you do not find the answers you need in this help section. Also be sure to back up the files you have purchased. We cannot send replacement files. Don’t see the answer you need? Post a comment on the page your question pertains to, or contact us. PNG stands for “Portable Network Graphics” and it is a pixel-based graphics file format that supports full color and alpha transparency. That means an image can have varying levels of transparency which will blend smoothly when placed over other images in a layout. Pixel-based images like PNG are also referred to as raster or bitmap-based images. The PNG file format provides lossless compression and is a popular format for web graphics when transparency is required. We distribute our images with transparency in the PNG file format due to its compatibility with a large number of graphics software programs, including photo editors, illustration programs, web design software, and page layout applications. SVG stands for “Scalable Vector Graphic” and it is an open-source vector-based graphics file format that is supported by most modern illustration and drawing software. Unlike bitmap or raster-based graphics which are made up of pixels, vector-based graphics are made up of objects defined by mathematical instructions. Being a vector-based format, SVG images are resolution independent which means they can be scaled to an size without a loss in quality. SVG files can be opened and edited in vector-based Illustration software such as Adobe Illustrator, CorelDRAW, Xara Designer, or Inkscape (free). SVG files can also be opened and placed in many bitmap-based graphics editors, but to maintain vector attributes, they should be edited in a vector-based graphics editor. We distribute our vector-based graphics in SVG format to ensure compatibility with a variety of software. To learn more, visit SVG Working Group. We use and recommend the free SVG Viewer Extension for Windows Explorer. Please note that our coloring pages are not optimized for printing from a web browser. We suggest that you save the PDF file to your computer or device and print off pages as needed from your PDF viewer software. Also see Alternate Printing Options for Coloring Pages for some different ideas on how you can print your coloring pages for more flexibility. Photoshop Presets are a collection of settings which can be loaded into Photoshop and Photoshop Elements and then applied to a project easily. 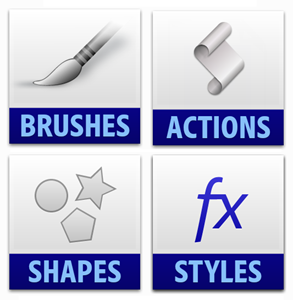 Presets include brushes, layer styles, custom shapes, patterns, gradients, color swatches and so on. Adobe has more detailed information on Photoshop Presets at Photoshop Help: Presets. Our Photoshop Presets are compatible with Photoshop 7 and later or Photoshop Elements 2 and later versions for Windows and Mac. Basically, if you have any version of Photoshop or Photoshop Elements released from 2002 or later, you should be able to use these files. PNG and SVG are universal file formats compatible with most graphics software. The PSD files may be compatible with other software. Photoshop Brushes can be used in The GIMP. Be sure to download and install our sampler test files to ensure compatibility, especially if you have an older version of Photoshop than what is mentioned here. Our presets come to bundled as zip files. Before installing you must extract the zip file. Once extracted, in most cases, you can double-click on a preset file such as ABR, ASL, CSH, etc. and it will automatically load into the last version of Photoshop or Photoshop Elements you installed to your computer. If you have multiple versions installed and you want to install the preset into a different version than the default, you can right click on the preset file, and choose “Open With…” to choose the program. Another way to load presets is through the Preset Manager in Photoshop and Photoshop Elements. For more information on working with presets, see Photoshop Help: Presets. Be sure to download and test our sampler file to ensure our files are compatible with your software and that you know how to install them. The previous and next navigation buttons in the image display “lightbox” popup appear as an overlay above the images. You can still right click to save an image, but you need to right click away from the navigation arrows which may cover a large invisible portion of the image. Try right clicking along the top or bottom edges or toward the center of the image. You cursor will change from a pointing hand to a standard arrow pointer when it is safe to right click for saving an image. See the image here for a diagram with the right click zone shaded lighter than the navigation areas. Right click in the lighter shaded area if you are trying to save an image from one of our galleries. The cursor will appear as a pointer instead of a hand. Left clicking in the darker shaded area will move you through the images in the gallery. Please open and check your files immediately upon receipt of you download links. Support will be provided within 30 days of purchase if you do not find the answers you need in this help section. Also be sure to back up the files you have purchased. We cannot send replacement files. Some of the files you download from this site may be packaged as zip files and will have a ‘.zip’ file extension. A zip file is way to bundle multiple files and folders into a single compressed “archive” file for faster and easier file transfer. These files need to be extracted, or “unzipped,” before the contents can be used. Photoshop will not recognize the preset files you download until you copy them out of the zip file. 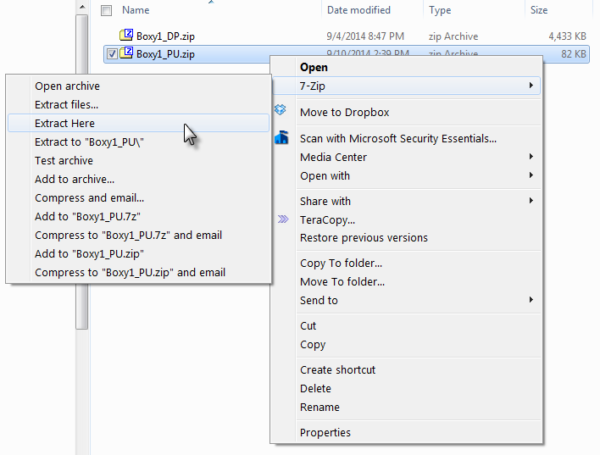 Most modern computers have zip extraction built right into the operating system so you need only double click on the file to gain access to the contents. From there you can copy the zip file contents to a new location. On Windows, you can also right click on the zip file and choose either “Extract Here” or “Extract To…”. “Extract Here” will put the files in the current folder, while “Extract To…” will let you choose the folder. On Mac OS X, you simply double-click the zip file and it creates a folder with all of the files inside. If you’d like to try a free, open-source file archiver, we use and recommended 7-Zip. This is a Windows program, but the download page offers unofficial versions for Mac, Linux, and other systems. When installed, 7-Zip adds its menu options to the Windows right click menu. Opening the files on a computer is recommended, but here are some suggested apps to help you open zip files on mobile devices running iOS or Android. Zip Viewer for iOS has ads but it is free and easy to use for opening and printing PDFs within zip files. Zip Viewer is a free zip file viewer app for iOS which I have used and recommend. We have provided a sampler file containing all the file types distributed on this site. 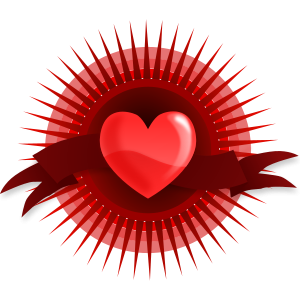 It is a free download so you can test our files for compatibility. We encourage you to download this free file and install or open the preset types you are interested in before you make any paid purchases. Beginning in March of 2017, all printable coloring products are delivered as PDF files so you no longer need to deal with zip files. In some rare instances, you may still receive a zip file, and some products are offered with the same content in an optional zip file. If the coloring pages are delivered as a zip file, it should be saved to your computer, cloud storage, or mobile device. You will receive an instant download after your purchase and the download link(s) are also sent by email if you went through the checkout process. Please open and check your files immediately upon receipt of your download links. The links you receive have an expiration and are only for your own use. Make a note of where you saved the file so you can find it later. Support will be provided within 30 days of purchase if you do not find the answers you need in this help section. Visit the article below if you only have access to a mobile device and need help extracting zip files. Related: What is a Zip file? How do I access the files I downloaded? The zip file will contain a clean, black and white printable PDF of the coloring page, without the textured background and banner as shown in our preview images. OrnaMENTALs coloring pages are sent as fully scalable vector PDF files, which means it will print with crisp lines at any size. (A minimum size of about 8 inches across is recommended for the best coloring experience.) The coloring pages you purchase can be printed multiple times and enjoyed countless times for your personal and non-profit use! To print, You will need a PDF reader program or app such as Adobe Reader, Foxit Reader, or PDF-XChange Viewer (all free). Most computers will have Adobe Reader already installed. I recommend using the software’s print option for “Fit to printer margins” and “automatically center” when printing on standard letter-sized paper. Important! Be sure to download the PDFs and open in a proper PDF viewer. Do not print from your desktop web browser. In order to retain full quality, these files are not optimized for web viewing. Be sure to back up the files you have purchased. We cannot send replacement files. The color schemes on this site are free for you to use for any kind of color inspiration for your designs, decorating, crafting projects, coloring, or anything else you can think of. We are happy for you to save them for personal use, apply the color combinations in commercial projects, or share them online with a link back to us. If you enjoy the photography that inspired the color scheme, please click through to the photographer’s site and purchase their products or give them some love by liking or sharing from their portfolio. You may not sell the color scheme palettes or the photos used to create them, but you are welcome to use the color combinations in your commercial projects. If you use Adobe software, we have provided download links for the color swatches in Adobe Swatch Exchange (ASE) format which you can open in Adobe Photoshop, Illustrator, InDesign, Dreamweaver or other Adobe software from the swatches panel of your application. We have also included an Adobe Illustrator color swatch file in AI format. If you don’t use Adobe software, there are numerous small utilities you can use to capture the color codes from the images we have provided. If you have a Mac, there is a utility built into OS X called DigitalColor Meter. Learn about Mac’s DigitalColor Meter here. 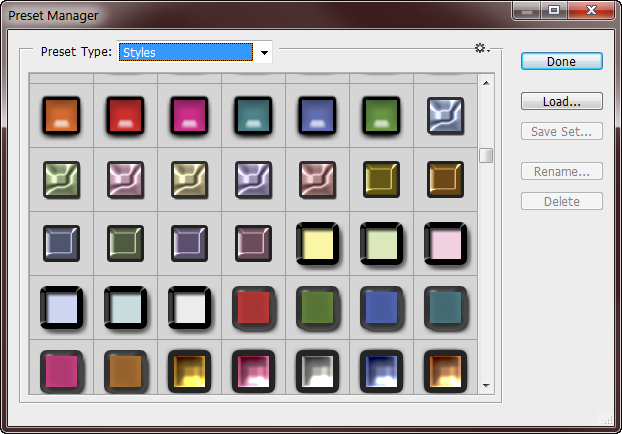 If you use Windows, we recommend Color Cop and EclipsePalette. Both are free and safe to install when you download from the official site links provided here. In addition, most image editing programs have a tool (its icon usually looks like an eyedropper) which will allow you to pick up colors from whatever image you have open. A coupon code is not required in order to check out. The best way to find out about current discounts and promotions is to subscribe to the Sue’s News email list. You can also check the menu bar at the top of the site and the current specials page. Since changing over to “pay what you want” pricing, we reduced use of coupon codes, preferring to keep prices lower. Any time the shopping cart has a zero total, you are taken through a simplified checkout where only your name, email, and country details are requested. You still need to click the “Proceed to Checkout” button to complete your order. We require checkout on many of our free items so we can see where customers are are coming from, and to give you the ability to re-download your digital items, even if they are updated. Creating an account is optional but recommended. An account allows you to view your order history and re-download any digital items you have purchased. Simply tick the box to create an account on the checkout screen, and add a password. By creating an account you will have unlimited access to your purchases from your account page. We accept all major credit cards, PayPal, Apple Pay, and Amazon Pay. A PayPal account is not required. Checkouts which contain only free items will bypass payment and be routed to a simplified checkout process. Many of the art and gift products on this site are routed through Zazzle for customization and checkout. Zazzle accepts Visa, MasterCard, American Express, and PayPal, as well as Zazzle earnings and gift certificates as payment. After completing checkout, you will be redirected to an order summary with instant download links for your purchases. You will also be sent an email with your purchase information and download links. 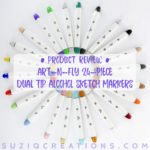 To ensure delivery, be sure to add suziqcreations.com to your approved senders. Please save, open, and check your files immediately upon receipt of your download links. The links you receive have an expiration and are only for your own use. Support will be provided within 30 days of purchase if you do not find the answers you need in this help section. Also be sure to back up the files you have purchased. We cannot send replacement files. If you create an account during the checkout process, you will be able to log into your account and re-download past purchases. Related: How do you send coloring pages? What are all these extra files? As of January 2016, many of the digital download products on this site can be purchased under a “pay-what-you-want” or “name your own price” payment structure. This allows you, the customer, to decide how much to pay based on what the value of the product is to you. Ultimately, it is your contributions that keep this web site going and motivates our artists to keep creating and posting cool stuff for you to enjoy! Most pay-what-you-want offers on the site will have a base price or minimum payment amount. This is to ensure we recover at least some of the time and expense of bringing these products to you. We realize many customers may not be sure what value to put on an item, so the suggested value is also posted. You may donate any amount above the base price according to how you value you the item. For instance, if you are considering a bundle of six coloring pages, but you only think you will color five of the designs one time each, you may feel that the value to you is around $8, a bit less than the suggested value. Someone else may be considering the same bundle of six coloring designs, but they plan to print multiple copies and share them with the entire family for an evening of coloring fun. The value to this customer may be $35–well above the suggested value, but still considerably less than the cost of taking the whole family out to a movie, and a much more enriching family entertainment experience! Using the design resources as an example, one customer may be using a set of custom shapes or layer styles in a design for a t-shirt that will sell hundreds of copies at a profit. For this customer, the value potential could be $100 or more. Another customer may be using the same resources just in a few personal projects such as embellishing greeting cards. This customer may wish to donate only $5-10 for the resources. And all of this is perfectly fine! No guilt. If you have no idea of the value to you yet–go with the suggested value we suggest. Or start with a small donation, and come back to add another donation if you find the value to be more than what you initially anticipated. You can find a donation box at the bottom of this page or on the sidebar of any page on the site. This site was originally conceived as a place to continue offering much of the free content I had been giving away on graphicssoft.about.com when I was maintaining the Graphics Software topic there. The difference between that site and this one is that it was ad supported. So, as “payment” for the free goodies, you had to put up with ads on the pages. This site has very little advertising–and that is by choice–but there is expense involved with maintaining the site. My idea was to create premium versions of the formerly free content–expanding on those resources and adding value to this. These are the Designer Pack upgrades you see on many products here. For a while that was working well enough, but as time went on, more of my visitors were taking the free content without contributing a donation or upgrading to the premium Designer Packs. In addition, for me as the primary contributor to the site, it became rather unfulfilling to simply take existing products and re-package them. I began experimenting and creating more and more original content of my own to offer here. Then in mid-2015, through the suggestion of a friend, I hit on the adult coloring pages idea and it was a fit! I felt like I had really found my niche. The OrnaMENTALs™ brand was born and I began offering them for sale on this site. Later that year, I developed shingles (yuck!) and got to experience the real therapeutic benefits of coloring for myself. At the time I was also struggling with the issues of art theft and trying to determine and define my values surrounding the selling of my art and designs–how much to give way and how much to sell. I knew I wanted more people to experience the benefits of coloring, but I simply couldn’t give everything away after working so hard and putting myself into it. That was when another friend introduced me to the concept of pay-what-you-want pricing. After some research and consideration, it felt right, and I decided to go with it, announcing the change in the first issue of Sue’s News of 2016. I’m starting with converting the coloring pages and coloring bundles to pay-what-you-want. If it works, I may follow suit with other resources sold here. This site has very little advertising aside from our own products. You won’t see popups, obnoxious flashy ads, or pushy sign-up forms. I will still continue to give free products away. I am trusting that these values intersect with yours and that all this has value to you. If not, in time I will know that I’m on the wrong path. My hope is that you will prove the value of my art and designs through your donations. Thank you for reading. And thank you for your contributions if you choose to buy here. Why aren’t your print books pay-what-you-want? Our book publishing platform does not allow us to use a pay-what-you-want pricing model. However, books will always be launched at a lower price for the first 1-2 weeks only so that the most loyal fans and newsletter readers can get it at the best possible price. I beleive in rewarding loyalty, so the books will never be reduced as low as the early bird price again (unless it is reduced by the seller, which could happen but is out of our control). Zazzle is a leading print-on-demand platform, offering hundreds of made-to-order products with designs by independent artists and designers around the world. Zazzle’s products include cards, posters, clothing, accessories, business cards, home décor items, and much more. Zazzle offers many benefits for both shoppers and designers. Zazzle lets you express yourself! All products can be customized for your individual needs. These are not mass-produced designs. Most of the items on Zazzle can’t be found anywhere else, and with your personalization, they can be one-of-a-kind. Zazzle offers a 100% satisfaction guarantee. Zazzle’s print quality is exceptional. Most products ship out within 24-hours–even customized! By buying through Zazzle, you support independent artists and designers all over the world. A portion of every purchase goes directly to the artist according to the royalty rate they set. Most Zazzle products are made in the USA, and they create jobs in the USA through their manufacturing, warehousing, and shipping facilities. Zazzle provides volume discounts on most products. Zazzle regularly offers sales and discounts, check the coupon page for current offers. You can get unlimited free shipping on all your Zazzle purchases for just $9.95/year with Zazzle Black. Zazzle offers an easy way for artists to get their designs on hundreds of products with zero start-up cost and no inventory to manage. Zazzle designers choose their own royalty rate. Artists can earn referral commissions on top of the royalty rate they set. 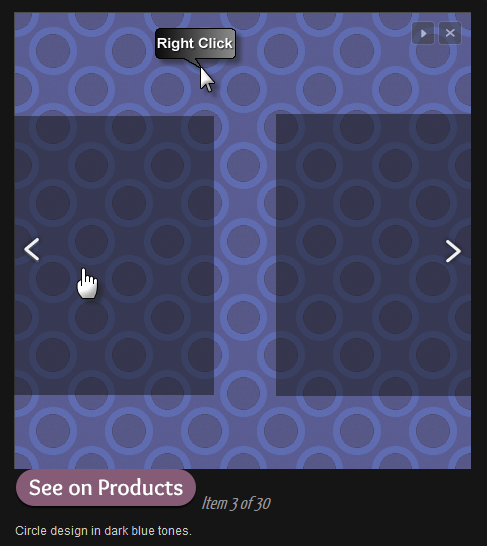 Zazzle’s design tools offer a lot of flexibility. Zazzle offers a huge variety of high quality products to design for, with new products added weekly. Layer styles are flexible and can be scaled to work on any sized images. If you apply a layer style that doesn’t look quite right on your text or shape, try scaling it with the Scale Effects command found in the layers menu and Layers panel. We have a quick tutorial that explains how to work with the scale effects command as well as a free action for scaling layer effects quickly. I love to see OrnaMENTALs colored! Please do share your colored pages! Did you know that you can share your colored OrnaMENTALs pages right here on the web site? It’s easy! Just scroll down to the comment form on most any page (except the home page), click the browse button to select up to 6 image files, write a comment to go with your pictures, and click the post button! The form accepts JPEG/JPG, PNG, and GIF file types and works from mobile and desktop browsers. There is a 5 MB file size limit when uploading colored pages. You can upload your colored pages from the comments form on any page of the site. Just click the ‘Browse…’ button. I don’t care which page you upload to… some good options are the free samples page or the OrnaMENTALs hub. Or use the site map to find the page for the specific design you’re sharing. To help me find your posts easier, it helps if you tag me (Sue Chastain) and use the hashtag #ornamentalscoloring when you share colored pages on social media. This PDF download is for personal use only. Please don’t share the PDF or the printed pages without permission, except to print in small numbers to color with a friend or two. If you’re hosting a coloring party you may share printed copies of these pages, but I ask that you distribute copies of the information page for your group attendees to take with them. Do not remove my branding or copyright notice. I do ask that if you will be printing many copies, such as for a coloring party, that you add to the minimum price of my name your price bundles. You can also come back at a later time and contribute a donation if you feel like you got more value out of my coloring page than what you originally paid. When you purchase any coloring book, it is legal to sell the colored pages under the First Sale Doctrine (explained here). As long as you aren’t copying the pages in your books, a book that you purchased is yours to do with as you please. As you can see, I permit making additional copies in small numbers with some conditions. So what about selling the colored pages when you purchase them in printable format? Scenario 1: You printed one copy of a page, colored it beautifully, and someone offers to buy it from you. That’s great! I want you to be able to make money with your talent. Art supplies don’t grow on trees, after all. In one-off situations, you do not need my prior approval. However, I would be grateful if you gave a portion of your profit back to me as the line artist either by contributing a donation, or buying more of my products. I would also love to see and hear about what you sold! Scenario 2: You colored a page and wish to make copies of the colored page to use on items you will sell such as greeting cards, framed prints, print-on-demand-products, tshirts, etc. I’m sorry, but any making any number of extra copies of the colored pages for commercial use would not be permitted. It is also not permitted to upload the colored pages to another party for mass production, such as a print-on-demand site. Related: May I upload OrnaMENTALs™ to a print-on-demand site? Scenario 3: You wish to make multiple copies of OrnaMENTALs™ line art, to color each page individually and resell the colored piece, or to use the colored piece in a handcrafted project you will sell. This would require special licensing. Contact me to explain your usage in detail and I can make arrangements with you for extended licensing that is mutually beneficial. Feel free to get in touch if there is another scenario your feel I have not addressed in this FAQ. Not without my written permission. Write to me explaining in detail how you wish to use the images and, if approved, I will make arrangements with you for extended licensing that is mutually beneficial. May I print extra copies of coloring pages I’ve purchased to distribute to patrons in a healthcare facility or educational institution? Not yet. I absolutely support the use of coloring pages in libraries, schools, and healthcare facilities. I’m working on a way to provide approval and special licensing for this usage. If this interests you, get in touch and I’ll work with you to make it happen or make sure you are notified when I open it up to applicants. You may only upload to a print-on-demand (POD) site for products you will be purchasing for yourself or as one-off gifts, provided the images you upload are only stored in your personal account for that service and not made available to the service provider beyond what is needed to create your personal product. You may not upload OrnaMENTALs™ to any POD site to create products for sale. This applies to OrnaMENTALs designs which have been colored as well as the uncolored line-art. If there is a product you would like to see OrnaMENTALs on, please let me know and I will try to find a supplier! Related: Can I sell OrnaMENTALs coloring pages after I have colored them? Simple – Great for younger kids and beginning colorists! Contains less spaces to color and more large open spaces. 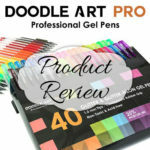 Suitable for most mediums: crayons, markers, watercolor, soft or hard pencil, pastels, pens… anything goes! Browse all simple difficulty designs. Moderate – Recommended for older children, teens, and adults. Contains some smaller spaces along with a fair amount of open spaces. 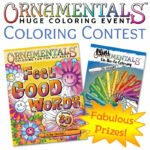 Some areas will not be suitable for very thick coloring mediums such as crayons, thick markers, pastels, or paint. Browse all moderate difficulty designs. Intricate – Recommended for experienced colorists or those looking for a challenge! Contains many spaces to color, including some very small areas. 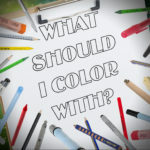 You will need a fine-point medium such as pens and sharp colored pencils to color some of the areas in these designs, and there may not be a lot of very large spaces to color. Browse all intricate difficulty designs.